Kuala Lumpur has been funny. I enjoyed drifting in the crowd of locals in Chinatown. I had seen weird markets in the past, but life was screaming cheap prices for funny fruits in this one. As much as I enjoy walking and getting lost, my meeting time with Zo-Ee was approaching and I could not reach The Co. by foot. I would have had to cross some kind of highway and public transportation was not really reachable from where I was wandering. So, I found a tourist office and asked if I could book a taxi. I got assisted by a long nail polished Malaysian girl to unsuccessfully book a taxi on the official taxi app. It was just not working. After lots of walking under the heavy sun, I found an old rusty taxi. There was no air conditioning nor clean carpets. Stuck in the traffic, I could catch a glimpse of lonely life on the busy roads. Life seemed tough for the aging taxi driver. The car stopped twice without apparent reason and the engine had trouble to start again. We had time to talk. My driver wanted to visit the world and could say the word “money” in lots of languages, including French. That’s what is important, he told me in a broken english. But he couldn’t say the world hello in all those languages. I’ve finally reached The Co. in Bangsar, I was obviously not on time. At the time of my visit, The Co. had opened two months before, but was already everywhere on social media. I found there a crowd of modern young people, using Macs and talking startup language. The place was quite new, everything was shiny and the sound proof booths were still about to be installed. I met with Zo-Ee, community manager to chat about what the goals for The Co. were and how they would achieve them. “ For us location is very important. So we wanted The Co. to be a place that could be more like a center of tech and entrepreneurial community. 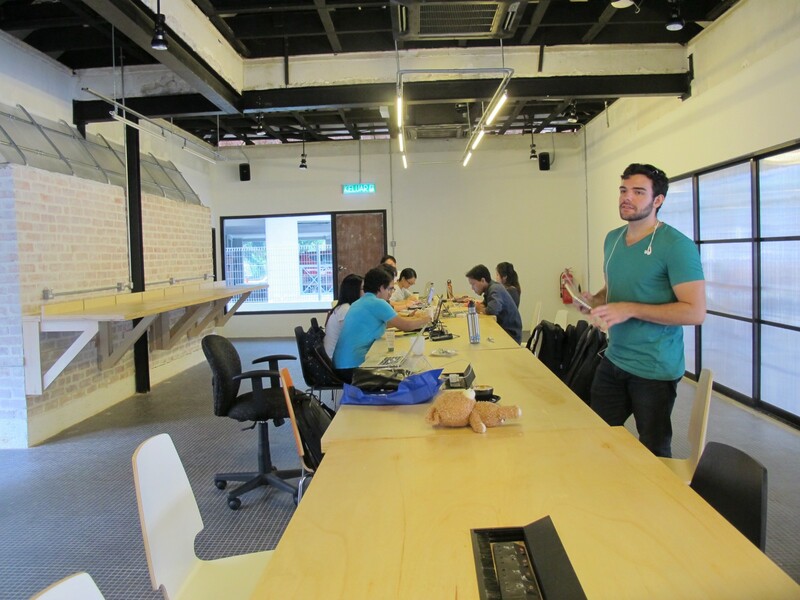 There are several other coworking spaces in KL, many of which have been around much longer, but what they didn’t have was a real kind of community centric event space. So what we do is that we have an event space that’s also convertible that is not in a hot dusty area! We do up to 6 non-profit events, for which we let [people] use the space for free. And the idea is that we can lend it to people from the range of different areas ; that could be anything from Ruby Tuesday, which is a Ruby On Rails developer group to Growth Hacking Asia, e-commerce meetups as well, and other things. A couple of weeks ago, we’ve had Techstar Regional Community summit, an event on social entrepreneurship, our first big corporate event with Cradle fund which is a local seed investor and which is part of the government. So that’s kind of the foundation we want. Tech in Malaysia in general, is still is a young ecosystem. I think it lacks a little bit of focus. The community is small but I think it could benefit a lot more from having a focal point. So the mission in The Co. is to help to provide that: bring people together and provide some kind of consistency. The other part of it is obviously to treat the new kind of workers we have in the 21st century. Because we have laptops etc., startups are just one or two people… We see the general benefits of coworking, overheads are low if you just come in to a coworking space and it’s just two of you not for a very long time commitment. As I am visiting, people are working in one main area of the coworking space, the flexible desks. There is a guy measuring the size of the table, he is preparing an event for his startup. Zo-Ee explains how it works: the event space and the flexible desk area are just one. The flexible desks are available from 9 to 6, after what, events can be held at their place. The Co also has a fixed desk area, with storage, faster internet and other amenities. As extra services, Zo-Ee and her team have set up deals with the local restaurants, softwares companies and members can get access to product as discounted rate or for free for a period of time. The aim is to create a partnership program where the kinds of thing The Co. offers are the kind of things startups and entrepreneurs are going to need to develop their businesses. The coworking space used to be a bungalow and it gives a feeling like being at home. Zo-Ee reveals the strategy behind this choice. “The idea is like, this is the center of the community. It feels comfortable and familiar like home . The space is designed so that it’s less open plan than the other location, so it looks more friendly to go into and a bit more private. The other location, I would say more is more slick. And reflects the nature of the city centre. It has been done by a famous design firm in Singapore called Farm. They are a pretty well known Singaporean design group and it feels more polished, more corporate center. The Co. started in Singapore, the original location there has been open for 3 years. 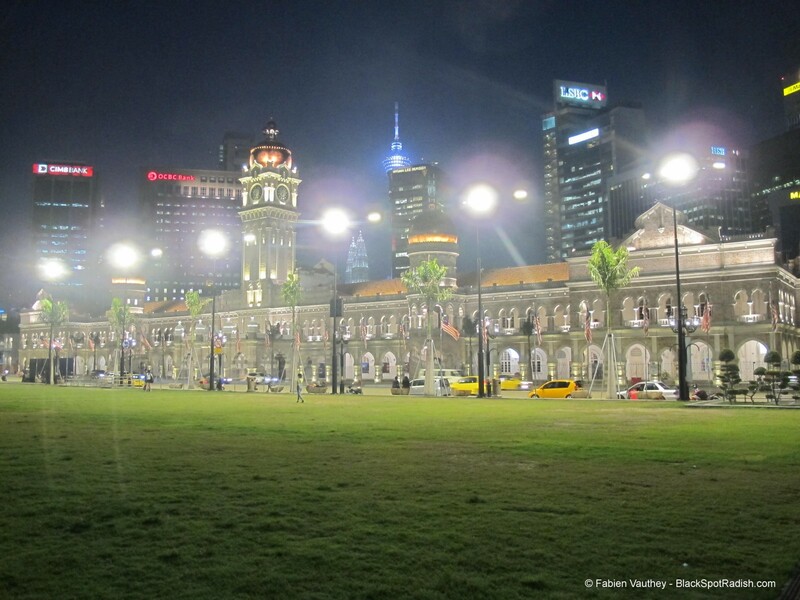 The Singaporean team wanted to expand to Malaysia and was lucky enough to meet three guys really well-connected to the local scene and also looking to start a coworking space in Malaysia. 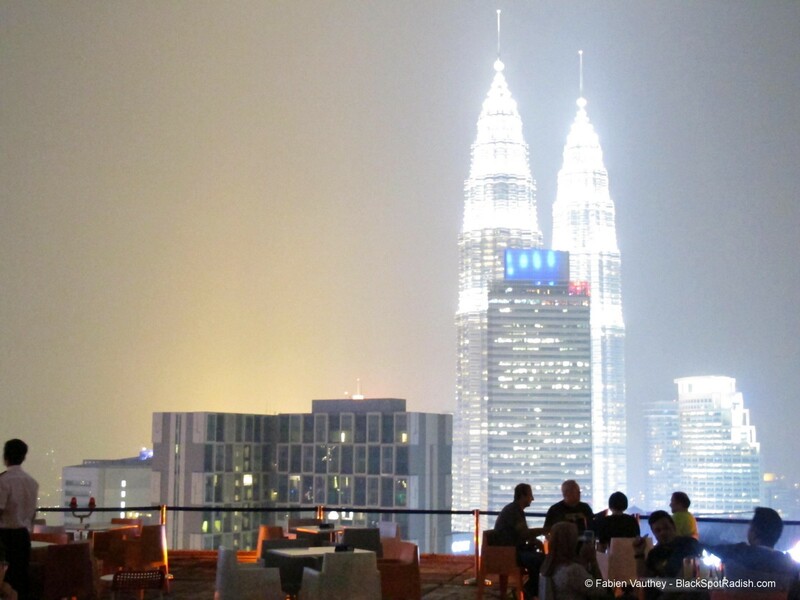 The other location of The Co. in Malaysia, is in the centre of Kuala Lumpur, at the heart of the city’s hustle and bustle. Before being coworking space manager, Zo-Ee studied Art History in the US. She also worked in Malaysia, where she is from, in social media marketing for a local startup. Along the way, she thought it would be cool to learn more and be in the center of the tech scene in Malaysia. Joining The Co., she saw the opportunity to build something new, a tech community, that was missing at the time. Familiar with the coworking scene, she understood the need that a community would have for this kind of space. She also has the right personality for the job. Extraverted, she likes to start conversations, be it in English, Malay, Chinese or French. Her daily job includes event management and sales. She spreads the word about The Co. and get people familiar with the concept. A community builder, Zo-Ee highlights the importance and regularity of events. “I can’t really compare much with other countries, but in Malaysia, people are shy, they are less likely to come up and chat to you. You have to create the opportunity for them to talk with each other. It’s good to have things like every Thursday, our beer night or ping pong, something fun to do. You have to make some effort to make people chat to one another. Zo-Ee is also lucid about the success of coworking spaces. Not everything relies on having a top community manager. There is something else needed. “At the end of the day, location is king for a coworking space. Nobody is going to travel to the other side of town just because the community manager is good. It has to be close to the area where they live. In Malaysia, Chaos spreads all across the city. So it is actually nice that [this location of The Co.] is closer in a residential area. Bangsar in general is quite lively anyway, we have a lot of shopping centers here. There is a large expat community, a lot of people freelancing, people who work from KL and live in Bangsar. It is a little bit more expensive as well, but we are well located next to LRT station. There are very good places very close by, not even 10 min away, where we can go to eat. Actually, this place is doing better than the other location just because it is in a place where people enjoy it. It is not too noisy, it’s not like working in a big building. Talking about the crowd in the coworking space and CoWorking.Coffee, we drift during our conversation about the philosophy of coworking and what kind of people make great coworkers. “We love coworkers who want to give something back. For example, there are several people who are running their own events. They have coordinated with us before, coming together and doing something. We love coworkers who can contribute and are willing to add some value. You have somebody else who works in a completely different industry looking at your project and he says “You know what? Maybe I can add value”. He doesn’t have to do anything but he said he can add value by doing this, this and this. It’s just great to have that kind of community aspect. That’s what we want and what we hope for our coworkers. It’s really great when we have people who actively come here, and in a very selfless sense want to help the community. As we talk longer about tech and startups in Asia, it’s getting late I soon have to go. For the way back, Zo-Ee called me a driver from a Malaysian Uber. At the time of my visit, there were violent protests from the taxis and transport companies to forbid these vehicles. My driver this time was young guy, speaking perfect English. He was cruising a clean modern car with AC and no dust, like a boss. He wanted me to sit in the front seat, unusual for this kind of service. He told me, that’s because, sometimes, taxis spot Uber-like drivers with passengers in the back. They manage to stop the car and beat the driver and the passengers. Fortunately, we made it back safe. The price of the ride was the same as the way to get to The Co. But, hey, what a contrast! Between the time of interviewing (October 2015) and publishing this article (March 2017), Zo-Ee has left The Co. for new adventures. 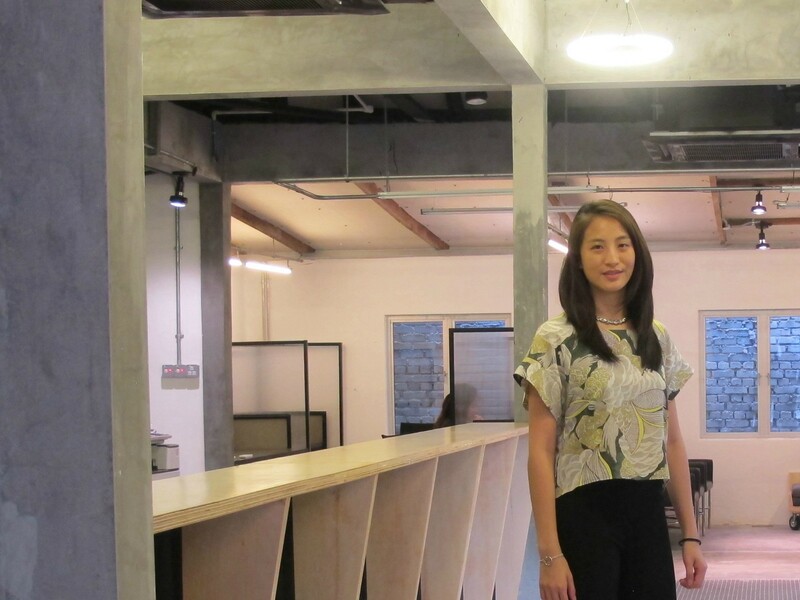 Sharmila is now the new community manager and will be really happy to welcome you at The Co. in Bangsar. 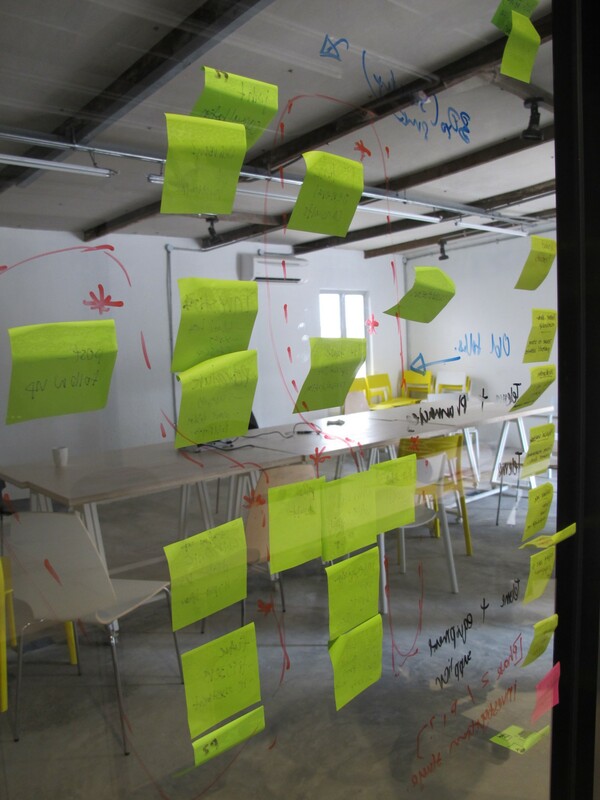 This article is part of a series of adventures written by CoWorking.Coffee relating to a coworking tour around Asia in 2015. You can follow me here for regular updates. 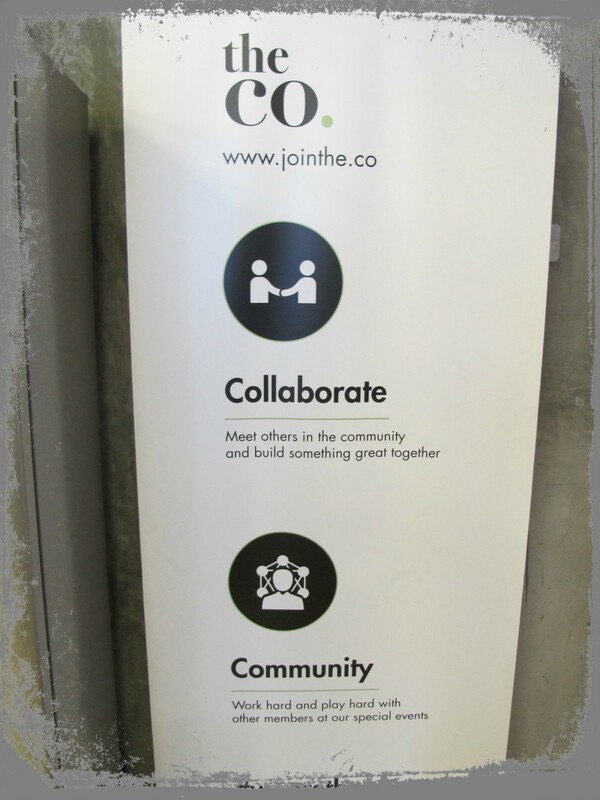 Founder at https://coworking.coffee. Organizing Product Hunt Tokyo meetups. Tweeting and writing about startups, Japan's trends in tech and innovation.